Rod Rogers Dance Company (RRDC) came into existence during the 1960’s when many artists were called upon to create works that reflected newly positive community consciousness. It began with founder R. Rodgers’ belief that dance images reflecting truths about human experience have the unique ability to touch people on a primal level of “feeling identity”. RRDC considers the use of dance as a vehicle for human development, including helping people realize their positive potential and inner beauty, to provide information and stimulate dialogues about our culture, this society and about historic contributions of landmark figures, are considered central to the RRDC mission. Rod Rodgers Company Studios offers comprehensive training at their renovated studios with classes in a variety of different disciplines, techniques and styles with open dance classes to adults and children. Most classes are $16 for an 1½ hour class. Class Cards can be purchased for most classes at $75 for five classes and ten classes for $140. Class cards are valid three months after purchase. Rod Rodgers offers two studio spaces for rental bookings. Located on the first floor and lower level of the building. Both are well lit, have a\c, Studio A on the 1st floor is sprung wood, Studio B downstairs as a marley type floor cover. Portable ballet bars are available for use. Audio player for audio device, cd or cassette available. Dressing rooms provided on the lower level. DVD\ VHS playback is available for an extra fee. Rentals are available Monday- Friday, 10am-10pm, Saturdays, 10am-8pm, and Sundays on request. Rates generally reflect the expectation of demands being made on Studio and Staff by particular group or activity. 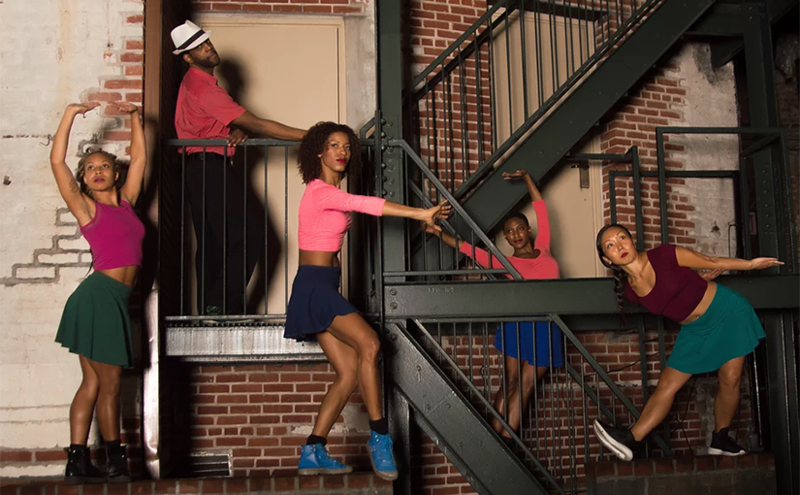 RRDC partners with DANCE BLOCK a program of FABnyc to offer low-cost rehearsal space to non-commercial choreographers and dance companies for rehearsal only. For more information or bookings, email rodrodgers.dance@verizon.net or space@fabnyc.org.